﻿ Y Resort Jeju, Jeju Island | FROM $46 - SAVE ON AGODA! 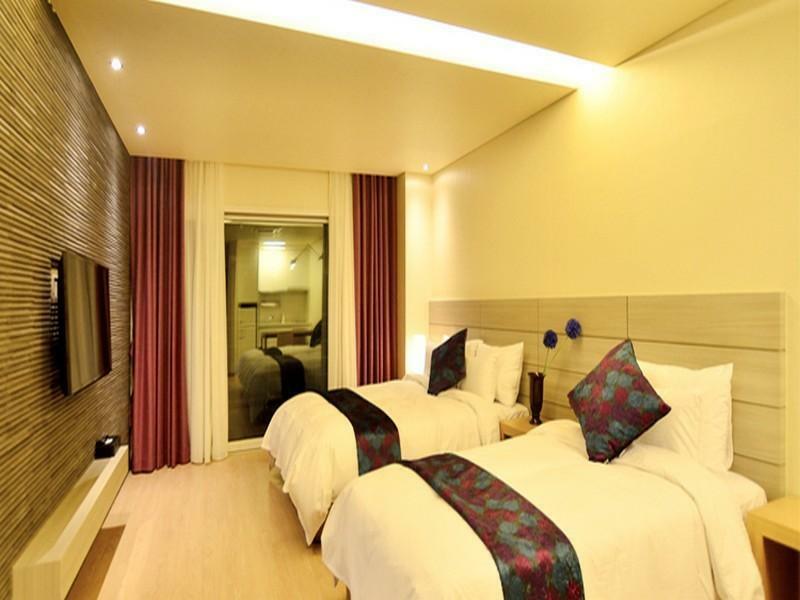 Have a question for Y Resort Jeju? Nestled in the heart of Jungmun, Y Resort Jeju is an ideal spot from which to discover Jeju Island. From here, guests can enjoy easy access to all that the lively city has to offer. 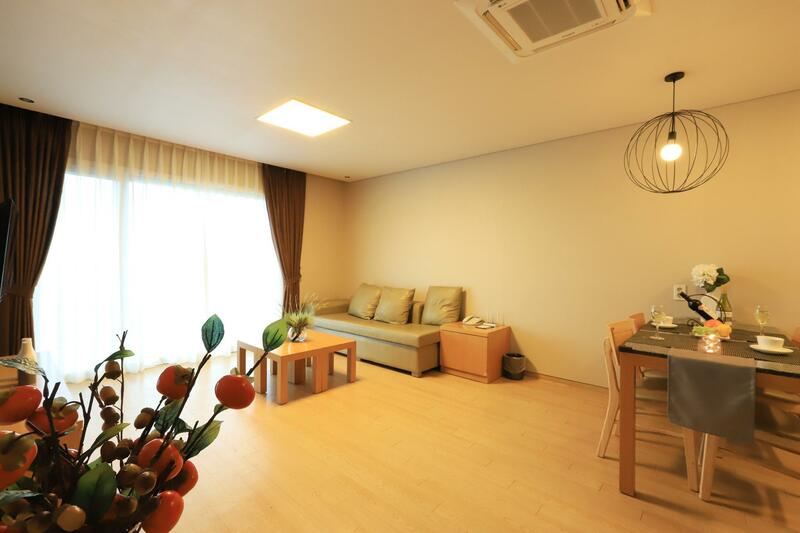 A well-kempt environment and its proximity to Sanbangsan Mountain, Jeju Sculpture Park, Sanbanggulsa Grotto give to this hotel a special charm. 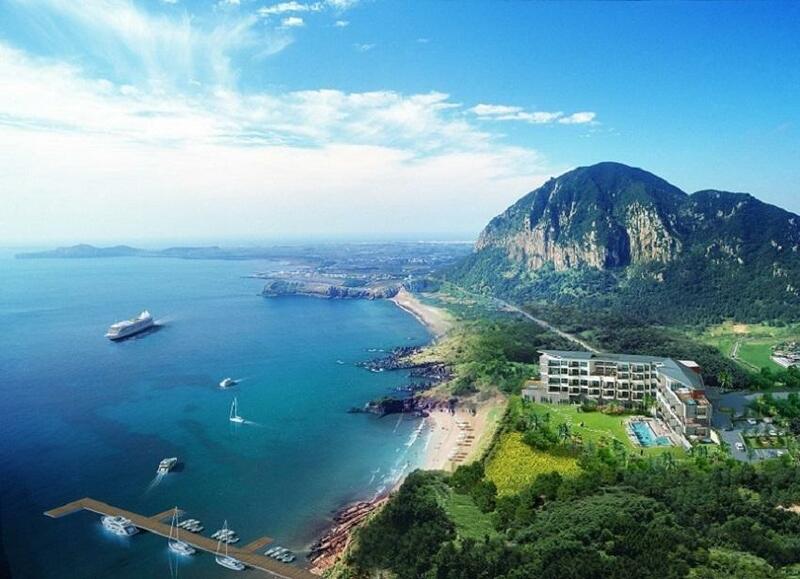 Take advantage of a wealth of unrivaled services and amenities at this Jeju Island hotel. The hotel provides free Wi-Fi in all rooms, 24-hour front desk, facilities for disabled guests, luggage storage, Wi-Fi in public areas to ensure our guests the greatest comfort. The hotel features 32 beautifully appointed guest rooms, many of which include television LCD/plasma screen, internet access – wireless, internet access – wireless (complimentary), whirlpool bathtub, non smoking rooms. The hotel's recreational facilities, which include outdoor pool, massage, pool (kids), garden, karaoke are designed for escape and relaxation. 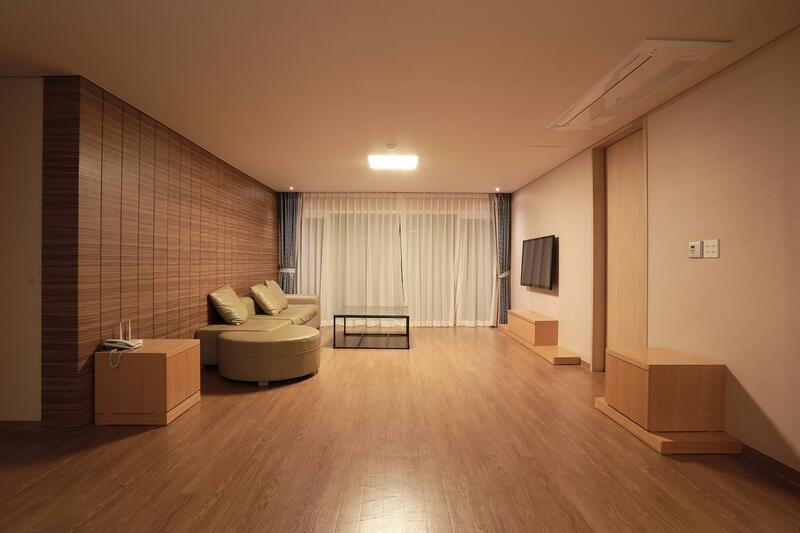 Y Resort Jeju is an ideal place of stay for travelers seeking charm, comfort and convenience in Jeju Island. Had a nice stay. Staff was helpfuLl. Lots of families with yoyng children. Nice view of seaside, great service, clean room! Loved the stay at this hotel, 5 star recomendation for the hospitality. It was a quiet place, good to rekindle the love in many families. If you're planning on going to Sanbang mauntain -> It's right here. Disappointed that there was no bar or restaurant open? My parents stayed in this resort and mentioned that it was cozy staying with good architecture and restful surroundings. You will need a private transport to this resort which I think cater more to Korean family. Reception has problem of speaking English which I do not think is a major issue. Not much of entertainment and restaurant around the area though. But the nearest Korean restaurant down the resort does serve pretty good seafood steamboat. The hotel is close to the sea. The room is clean and big. I have a great time there. Even the location is a bit remote, it would not be any problem if you drive. We stayed in the Corner Pool Suite for 2 nights. We had great views of the ocean, which made it a very relaxing stay. There are 2 shower rooms which was great. The room is very clean with modern design. We didn't use the pool in the end since it was cold. The location is fairly remote, hence it is better to rent a car or hire a driver (which we did). The restaurant in the hotel only serves breakfast, which includes both korean and western options. The spread is fairly ok. There are 2 local restaurants which are a short 5 mins walk from the hotel. One of them is black pig bbq, the other is a seafood soup/sashimi place. Both are decent. The staff there speak limited english but some could converse in simple chinese. Overall, I would recommend this place to those who are looking for a relaxing and quiet place to stay. i really enjoyed my stay in y resort jeju! everything was fantastic. the resort was strategically located near to many attractions. the bathroom was huge and there was a jacuzzi inside. from the balcony, we could enjoy the sea view and mountain view. however, this hotel i will only recommend this hotel if you rent a car in jeju, otherwise it could be quite inaccessible. the breakfast spread was good and the staff are friendly but spoke little english. The ondol suite without any bed (with mattress on the floor) is not meant for everyone. If you are used to the soft comfortable bed, this is not for you. For anyone who choose to stay here, please make sure you rent a car to drive, otherwise it is not very conveniently located near the airport, city center and main attractions. Instant hot water in great bathroom, really peaceful, Jeju island itself - so much to do! Staff English was limited. The manager had spent time in Rockhampton, Australia and was thrilled to find Aussies staying in his hotel. We got some extra attention because of this. The room was glorious. In spite of being near a working port was quiet and peaceful. Great views, glorious sunrise/sunset. Close to town. You do need a car to get around the other sights though (international licence needed to hire) The Jeju Olle walking trail goes right past and is a great experience. The hotel only serves breakfast and bar snacks, so plan to eat at one of the local restaurants or self cater. Don't waste time on Aroma Spa, expensive as you can get the same in Seoul for 45 krw! No hotel pick up from airport - taxi was good option. We were visiting just after high season, so hotel was comfortably occupied. New hotel, new rooms with one queen and one single bed. Well maintained, but the room that we booked didn't come with jacuzzi though the photo on Agoda shows one. However this is not an issue. Limited breakfast spread which is almost the same for every morning during our stay. The restaurant has very few patrons, as most guests will dine out since Jeju island and Korea is famous for their food, grilled black pork and seafood. The hotel has a small minimart and there is a seafood restaurant just within 5 minutes walking distance away. The hotel is brand new and has a great design and feel. The pool and I had a private bath overlooking the beach. The staff were very attentive and showed me where local restaurants are (only 400metres away from the resort.) I arrived late in the evening and used my stay to relax in the room which was comfy and modern and had everything I needed. I had an early morning swim in the pool (6am) but unfortunately I left too early (6:30am) for breakfast and they could not provide any other option for me. But overall the resort has all the facilities you need, a bar, spa, restaurant, convenience store and shopping. good...but i dont want go again if i have another chance to go Jeju. very new and clean. Nice pool, quiet and peaceful. This a very nice hotel, nice design. But its very far from anything.....anything! The Breakfast is exellent I will say that, but I think it is very overpriced for what it is. There is a beach about 5 minutes away, but Jungmun is about 15 minutes away, is a better choice. Comfortable Hotel, I'll recommed this hotel for other one, but not suggest the guest without car.